Welcome to the Paramedic Safety Pause section! 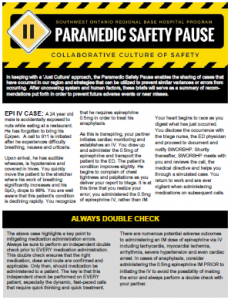 In keeping with a ‘Just Culture’ approach, the Paramedic Safety Pauses is designed to share cases that have occurred in the Southwest region that contain valuable “teaching” points and include strategies that can be utilized to prevent variances from occurring on other calls of a similar nature. 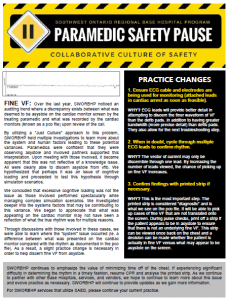 After uncovering system and human factors, these briefs will serve as a summary of recommendations put forth in order to prevent future adverse events or near misses.